One common complaint of mobile users is that the battery doesn't last as long as promised. Just when you need to send a critical email or make an important call, you get an obnoxious low-battery warning. If you don't want to succumb to walking around with an adapter and looking for an outlet to recharge, try some of these tips to prolong your phone's battery life and combat the biggest causes of cell phone battery life drain. 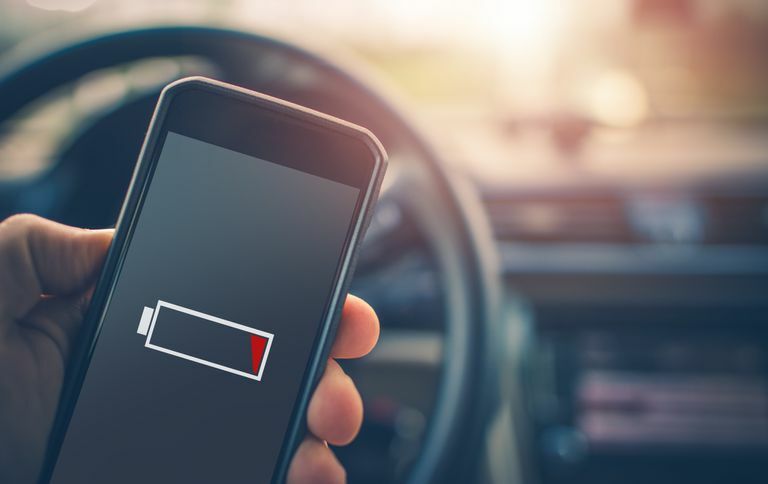 Bluetooth, Wi-Fi, and GPS are some of the biggest battery killers on cell phones because they are always looking for possible connections, networks, or information. Turn off these features in your phone's settings except when you need them to save power. Some phones, such as Android smartphones, have widgets that offer toggles to turn these features on or off so you can switch on Bluetooth when you're in the car for hands-free driving or GPS navigation and then turn it off to save your phone's battery life. Having Wi-Fi on drains your battery if you're not using it, but if you're on a wireless network, it's much more power-efficient to use Wi-Fi than to use cellular data, so switch to Wi-Fi instead of 4G when you can to save your phone's battery life. For most people, that means when you're at your house, use Wi-Fi, but when you aren't near any Wi-Fi networks, turn Wi-Fi off to keep your phone running longer. As with laptops and TVs, the screen on your cell phone drains a lot of its battery life. Your phone probably auto-adjusts its brightness level, but if your battery starts dipping to levels that make you anxious, you can adjust the screen brightness lower to conserve more battery life. The lower the better for your phone's battery. Another setting to look at is the screen timeout. That's the setting for when your phone's screen automatically goes to sleep — 1 minute, for example, or 15 seconds after not getting any input from you. The shorter the time frame, the better the battery life. Adjust to your level of patience. One of the conveniences of modern technology is having everything delivered to us instantly, as it happens. Emails, news, the weather, celebrity tweets — you are constantly being updated. Besides being bad for your sanity, the constant data-checking depletes your phone battery. Adjust the data-fetching intervals and push notifications in your phone's settings and in individual apps themselves. News apps and social media apps are notorious for regularly checking in the background for new information. Set those to checking manually or hourly. If you don't need to know the second every email comes in, changing your email push notifications to manual can make a huge difference in your phone's battery life. Your poor phone is dying, and it's trying to find a signal. When you're in an area with a weak cellular signal, turn cellular data off altogether by going into Airplane mode. Airplane mode turns the cellular and data radio off on most phones, but it leaves Wi-Fi access on for some devices. If battery life is important to you and you're a smartphone owner, shelling out a couple of bucks for apps you use may be worth it. Research suggests free, ad-supported apps drain battery life. In one case, 75 percent of an app's energy consumption was used just to power the ads. Even in the case of beloved Angry Birds, only 20 percent of the app's energy use may go to actual gameplay. Heat is the enemy of all batteries, whether it's your phone's battery or your laptop's. You might be able to eke out a bit more life out of your phone if you take it out of a hot case or your pocket, don't leave it overheating in a hot car, and can manage to find other ways to keep it cool. As a last resort, turning your phone off when it is not in use can cool it down and conserve the battery.